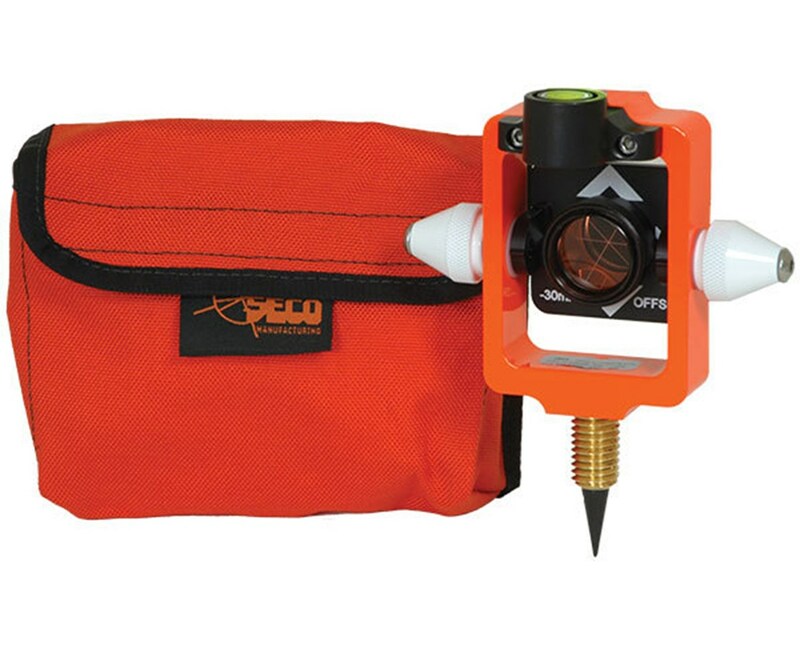 The Seco Mini Stakeout Prism with Site Cones features a 25-millimeter diameter, copper-coated mini prism attached to a target with offsets of 0 millimeters and -30 millimeters held securely within a fluorescent orange holder. 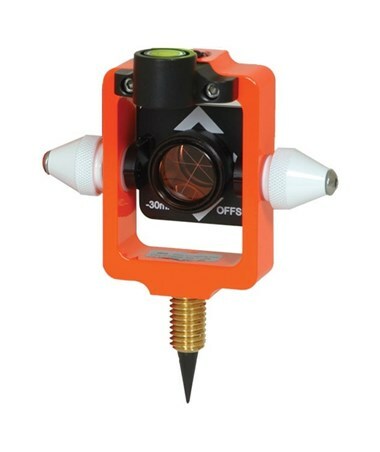 White site cones located on either side of the mini stakeout prism assembly improve vertical angle pointing for surveying professionals and they serve as tilting-axis lock knobs. In front and on top of this Seco mini prism you will also find a convenient and resourceful adjustable circular level vial with 40-minute sensitivity. Top and bottom 5/8 x 11-in. 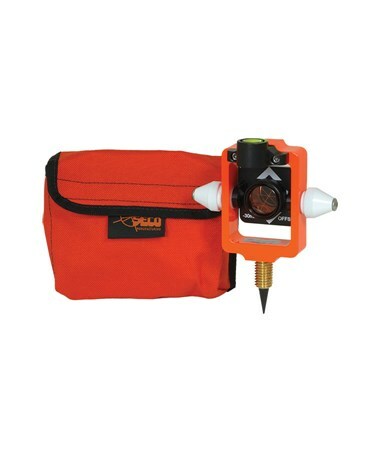 threads maximize your mounting options and the included orange, nylon carrying case maximizes your storage and transport capabilities.